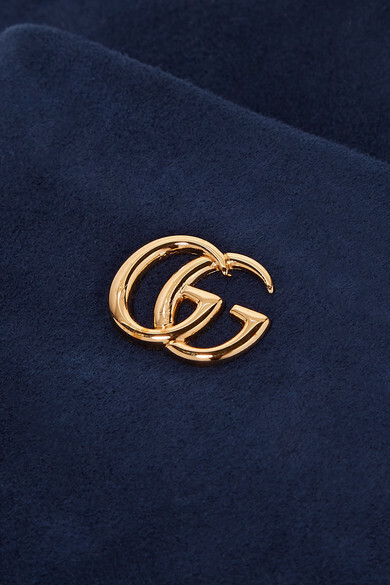 There's a reason Gucci's 'GG' hardware is so instantly recognizable - it can be spotted on everything from the label's shoes and ready-to-wear to these 'Viola' gloves. They've been crafted in Italy from buttery navy suede and have panels of supple black leather at each fingertip. The silk lining makes them so easy to slip on and off. 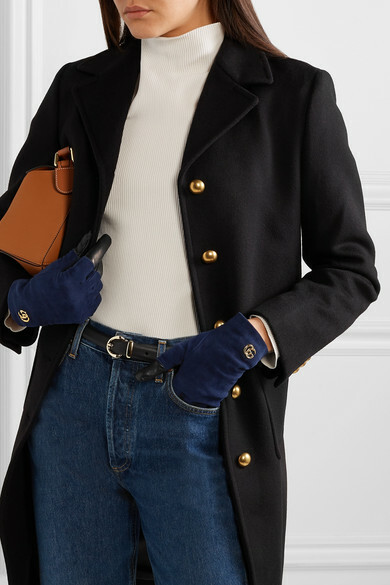 Shown here with: Gucci Coat, AGOLDE Jeans, Loewe Shoulder bag, Anderson's Belt, Helmut Lang Sweater.